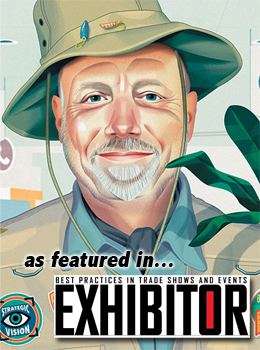 TradeshowGuy Blog - Page 86 of 93 - Best tradeshow marketing tips and case studies. Look, up in the sky! It’s a bird, it’s a plane…no it’s — it’s a guy on a ladder that’s about to fall! 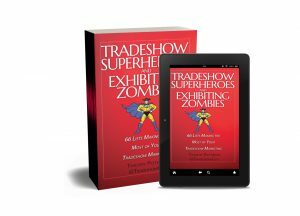 All tradeshows have their cast of characters – both heroes and villains – but you may be so engrossed that you don’t recognize the hero (or the villain) working right beside you. 10. The Flash: If you want something done, ask a busy person. There’s always someone on the booth staff that has the ability to get things done, no matter what it takes. They look ordinary, and in fact, wear no special costume, but when an issue or problem arises, this person makes it happen. Weakness: Burnout. Moving so fast for so long will definitely take its toll. In fact, the friction caused by moving so fast through Earth’s atmosphere may actually cause smoke or minor burning. 9. Captain America: Always fighting for Truth, Justice and the American Way, Captain America seeks out wrong and strives to make it right. Whether it’s a banner that’s crooked, a small piece of dirt on the carpet, this super hero will go the distance to make everything perfect. Weakness: Perfection is impossible. That’ll probably drive Captain America bonkers some day. 8. The Incredible Hulk: Okay, he’s typically mild-mannered, but suddenly during set-up of the booth, he turns into a behemoth able to lift large light fixtures, trusses or graphics to make set-up go easier. Be sure to buy the guy a drink after set-up. He’s earned it. Weakness: Low self-image; needs emotional reinforcement. 7. Iron Man: No doubt you’ve met this super hero, but may not have recognized him. According to comic book mythology, Iron Man wears a suit of armor, yet underneath it all he battles demons such as alcoholism and a broken heart (literally, with a piece of threatening shrapnel), but is a brilliant businessman. Weakness: So yeah, a flawed hero (aren’t they all?). 6. Sue Storm, the Invisible Girl: One minute she’s there, the next she’s gone. In the blink of an eye. Sometimes when you’re looking right at her. Disappears at certain hours only to reappear in the lounge. Weakness: Tends to like the handsome nerdy type. Especially those with a rubber personality. 5. Politeness Man (from National Lampoon): Perhaps not a real super hero, still he does exist. No matter how rude people are to him or his staff, Politeness Man always manages to keep a smile pasted on his face, and treats people exceedingly nice. Weakness: Can slip into a pithy condescending tone when his pals are not looking. 4. Johnny Storm, The Human Torch: A hothead at heart, all he needs is to encounter some small inconvenience and it’s all “Flame On!” Stand back or you’ll get burned. Weakness: Water of course. Prefers something shaken, not stirred. 3. The Joker: Okay, not really a super hero, but the nemesis of all that is good about tradeshows. Constantly looking for ways to party harder, play practical jokes, make fun of people, but he vanishes when the going gets tough. Always returns to claim some sort of victory. Weakness: I think Batman has his number. Right? 2. The Silver Surfer: Exiled to Earth by Galactus after saving the planet from destruction, the Silver Surfer….uh, wait. The Silver Surfer of the tradeshow floor is the aloof yet powerful entity (often a CEO or upper level management guru) that is visible for brief moments, then disappears into high-level conferences to discuss saving the company or aligning with another all-powerful entity. Or something like that. Weakness: Still has a problem relating to the citizens of Earth. Would rather take that surfboard to parts unknown (Barbados, Jamaica, Maui, etc.). 1. Wonder Woman: No further description necessary – she’s a wonder and she’s a woman. Does it all. Unfortunately, she only exists on another company’s booth staff. A perfect 10, and often thought of as a vanishing species. Weakness: None discovered so far. Have you spotted any of these Superheroes lately? Did you thank them for the good work they do (except the Joker)? Did they vanish to their secret lair as soon as the work was finished? Or – and this may be a tough question to answer – are YOU a superhero? If so, hurry up and change back into your disguise…or be prepared to sign autographs the next time you stop slow down for coffee. Whew! Where’s the nearest phone booth? Next time you’re at a tradeshow, throw on your trenchcoat, dapper hat and shades and go undercover. Admittedly, playing spy can be fun. And it’s something you should certainly be doing at your next tradeshow. You can check out new products and promotions, competitor target audiences and even talk to them about marketing strategies if you manage to strike up a conversation with the right person. In fact, you could go all out and compile a small dossier (there’s that spy stuff again!) on your various competitors. Once you’ve gathered the information, be sure to use it: discuss it with your company managers when you return to determine how or if any of the information you’ve compiled affects you. You probably won’t get into as much action as 007, but the information you bring back from the ‘enemy’ may be priceless. What’s Your Social Media Mix? When it comes to participating in Social Media (what we used to call Web 2.0, but gee that’s soo passe now), what are your choices? Too many, obviously. And you can’t do them all. Facebook, Twitter, LinkedIn, StumbleUpon, Flickr, Ning, MySpace, Orkut, YouTube. Blogging, podcasting, video podcasting, social tagging (bookmarking), video livecasting…. Whew! The mind boggles at the possibilities. Even if you were involved 24/7/365 there would still be more that you could do. I know, I know, even if you didn’t take time out to sleep or eat or shower (heavens!). So the question comes down to this: what is the mix of social media that fits you? The answer depends on you, and it can keep changing depending on your skills, needs, wants and what your network is plugged into. Because it all boils down to your network and your goals. What are they involved with? How do they interact? If you’re just hanging out on Facebook and Twitter for fun – and not for any business purpose – have at it. Have fun! But if you want to reach people with information about your products and services, you’ll need to set some parameters and some goals. For instance, if you want to draw readers to your blog, you can do that by posting on Twitter or Facebook or even LinkedIn. I find that roughly a third of the traffic to this blog comes from those three platforms. When I post a new podcast or video, or a new blog post, I create a tracking link and send out a Tweet. A few minutes later I’ll put something similar up on Facebook to update my status. 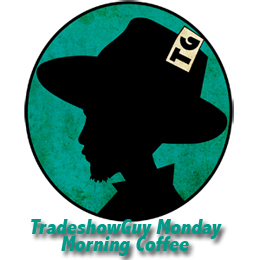 I’m just getting into a new ‘page’ on Facebook for the Tradeshowguy Blog, so I may make note of it there. Although I have it set up to automatically populate the Facebook page with my blog posts, so I may put something shorter and more ‘chatty’ there. Podcasts, blog posts and videos are all bait for readers, listeners and viewers. Post a quick catchy headline with a tracking link and watch folks come to check it out. If it’s good enough or interesting enough to someone else, the post may be re-tweeted. This happened to me on one post a couple of months ago: a Twitter user with over 200,000 followers re-tweeted my link and I suddenly had a spike of a couple of hundred visitors to the blog. If you like to write short pieces, you should be blogging. If you are comfortable in front of a video camera, you should post short informational or fun videos on both YouTube (or Vimeo or another similar service) and imbed them in your blog. Like to talk into a microphone and are handy with audio recording software? Learn to podcast. I look at LinkedIn as a strictly business networking site. It’s great for joining groups and discussions that interest you. Facebook is like the block party where you meet folks from both your business and personal life. Twitter is more like a world party where you can follow the musings of virtually anyone. As you can see, 25% of traffic comes from the combination of Twitter and Facebook. At times in the past LinkedIn has pointed visitors here, but not so much recently. I think it’s great, too, that over a third of the traffic comes from searches on Google. While lots of folks are coming (at least to my mind! ), a lot are not sticking around. 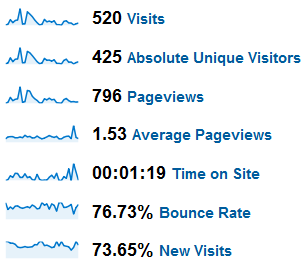 The ‘bounce’ rate is an indicator of people that come by the site take a look around, and leave quickly. If 3 out of 4 ‘bounce’ away, that’s certainly something to improve upon! However, with an average time spent of over a minute, that means most people are taking a good look to see what’s here. I pick up on average about ten new newsletter subscribers per week, thanks to the free e-book offering (and the video at the top right that invites them to pick it up). I find that when I promote the e-books on Twitter and Facebook – particularly Twitter – the subscription rate picks up. But I don’t want to JUST promote the newsletter on Twitter. Nope, gotta have fun; have a conversation, respond to people, re-tweet other posts, send out links to posts besides your own blog. Keep experimenting. Keep trying new things. Read blogs like ProBlogger.net or Mashable.com, which are blogs about blogging and social media. You’ll find tons of great ideas. And keep inviting people to your site. You’re heard the saying ‘it’s all in the details.’ Details are important. People notice them. Don’t leave details to chance; you can be derailed by forgetting details (hey I just made that up!). But what about the BIG PICTURE? 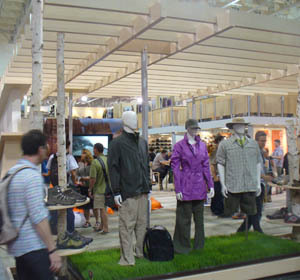 Most marketers assume that tradeshow marketing is an effective method for marketing your product or service. But that’s not necessarily the truth. First, figure out IF it’s something that will work for your company. That may mean asking other similar companies (even competitors) about their experiences. If possible, find out if they succeeded or failed and WHY. Their failure to get a good response does not necessarily reflect on your results. Until you know details about why the failed, their results won’t mean anything to you. Get information on the specific show. Who’s exhibiting, who attends, how the show is marketed, and are the folks in your target market attending the show in significant numbers? Next, make a marketing plan for each show. That’s right, EACH SHOW. After all, each show has a different audience and a different group of exhibitors. Examine how you’ll draw attendees to your booth; what’s your follow-up methodology; who’s going to staff the booth, what specific products/services you intend to promote at the show. The more accurate your plan, the more likely the plan will play out the way it’s supposed to. Another part of the Big Picture is: what does management really want to happen? Often a company will decide to attend a tradeshow but the reason and strategy behind are not communicated effectively to the tradeshow team. Finally, part of your plan should include a show debriefing. What’s the ROI? How many leads? How many follow up sales or real prospects? And most of all – what can you do better the next time? While there are a lot of details to managing tradeshow marketing (tradeshow marketing directors MUST be detail-oriented people! ), before you get too deep, get a view from 30,000 feet. Know the big picture. It’ll help you to pursue the right details when you hit the trenches. It’s not that hard to set up a Facebook ‘page’ where you can feed your blog, promote your business, service or product and invite folks to come by – so I finally did. Although it’s not that hard, Facebook manages to make it a bit difficult to find answers to easy questions. After puzzling over some aspects of how to publish a page, how to find the page after (or before) you publish it, and dredging through several dozen comments from users in the help section, I’ve come to the conclusion that Facebook is not that interested in providing prompt, courteous service to their users. Given that they currently have over 250 MILLION users, it doesn’t surprise me that help-line response would be slow. So check out my Facebook Tradeshow Guy Blog page. Yes, it has a lot of the same posts, but I’ll add more of the typical shorter conversation-like comments that are common on Facebook, in addition to the article-like blog posts and podcasts you see here. 1. When you’re on Facebook, after you’ve created a page, it seems the most challenging thing is to actually get back to the page. Facebook doesn’t make it easy. Here’s what to do: click on the “F” icon at the lower left corner of your Facebook page. When your mouse is over the “F” it’ll say “Ads and Pages.” Click Pages. 3. Finally, how do you steer people to your page? Go to Browse All Pages, type in the name of your page and it should show up. Click on the page; you’re now seeing the page. Copy the URL from your browser, spread it around! Create a Facebook ‘badge’ like I’ve done on the right column of this page. Or download their logo from the badge page, add it to your website (like I’ve done with this post) and use the page URL as a link. And of course…keep feeding the Status update. After all, you DO want people to think you’re involved in it, don’t you? You’ll find a brief comparison of the pros and cons of custom vs. pop-up or modular, as well a look at other considerations such as drayage and shipping. Click here and it’s yours (PDF – approx 400 KB). Let’s be up front. I don’t own an iPhone. I don’t have a cell phone with 3G networking (at least I don’t think I do). And yet I see advertisements every day on TV that hawk the ‘fastest 3G’ networks out there, etc. As if it’s supposed to mean something to me. Look, I think I’m a typical electronics and IT consumer. I am online for hours a day, both business and home. I spent too much time on Facebook and Twitter. I check into LinkedIn now and then. I cruise my favorite websites, such as CNN.com and ESPN.com daily. I subscribe to way too many e-mail newsletters. So I know the Internet pretty well. 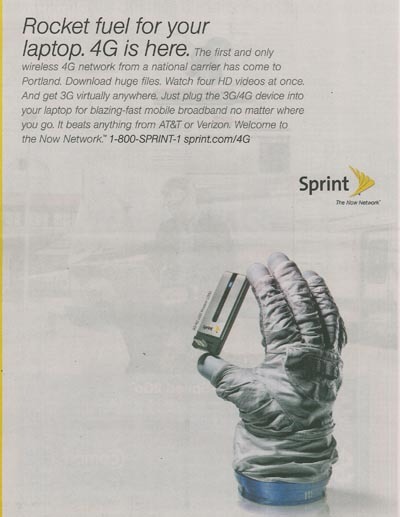 But I get confused and confounded when I see ads from AT&T or Verizon or whoever touting their latest ‘3G’ networks. I don’t have a clue what they’re talking about. I can make some presumptions, though. Perhaps it’s a new way for cell phones to work faster? No? 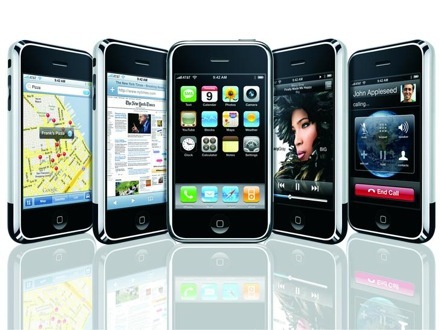 How about getting online with an iPhone or Blackberry? Am I getting closer? I think I’m on the right track, but it still doesn’t answer the question: Why are these companies presuming their customer even know what they’re referring to? So I’m right. I guess. I was camping with a friend over the weekend. She delighted in showing me her new iPhone ($99!) and all the things it could do. Her take on 3G? “I think it means Third Generation,” she said, “but Third Generation of what I don’t know.” I guess it just means faster. To my mind, the phone companies hawking the 3G network capabilities are making a giant leap. Whether it’s a leap of faith or a leap of confusion I’m not sure. No doubt this has been discussed at the highest levels of advertising agencies and the phone companies selling the technology. But doesn’t it seem like the same thing when we used to see ads comparing the online dial-speeds: “14.4 MBS vs 28.8 MBS vs. 56.6 MBS…” and we just assumed that – even without know what the hell they were referring to – the bigger the number, the better? But then again, maybe that’s the only thing that matters. We see “3G: Faster!” And that’s all we need. Gotta have it! Are you making assumptions with your marketing? Does your audience understand? Or do they just need to know that it’s faster, better, higher, brighter? It reminds me of the old story about how one ad agency – several decades ago – took an everyday consumer item – beer – and by describing it in great detail to their audience, managed to catapult themselves into holding the lion’s share of the market. But it’s just beer! Right, but when you tell your audience how you do what you do, and what the reason is, and what it means to the end user, you position yourself against the competition. I don’t see this happening with the positioning for 3G networking. It’s all the same. No specifics. I don’t know the answer. I’m just asking the question. However, I’m nearly convinced I should get an iPhone if I can find one for $99. Pretty cool stuff. Of course we all want to be noticed at a tradeshow. It’s the main reason for being there! Whether your goal is to network, write orders, set up distributors, introduce a new product or any of a variety of other ‘business-building’ activities, being noticed is the key. So what are some good ways to get noticed? Naturally, if you’re an exhibitor, you can focus on your booth and any promotions that bring people to your booth. A striking graphic, a bold design or an unusual demo all contribute to being noticed. If you’re not exhibiting, but are still hoping to draw attention to your product or service, there are a number of ways to be noticeable. Stop at booths of people you’d like to do business with. Don’t try and sell them anything on the spot; that’s not ethical (after all, they paid for the booth space, not you). But you can strike up a conversation, and direct that conversation the way you want. 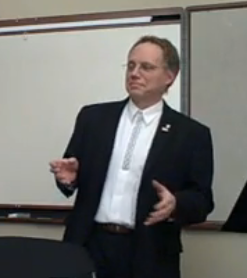 One of the best ways to draw attention to yourself is by speaking at the show. If you have been in the industry even for a few years, chances are your expertise is enough to get you a speaking gig at a show somewhere. It may not be THE industry show that you’re aiming for, but any exposure is apt to be good. If you’re not a public speaker – or not confident in your abilities at this point – you might consider joining a discussion panel. This is a great way to get some exposure as an ‘expert,’ and it will also help ease you into more prominent speaking roles. In the meantime, join Toastmasters, or hire a personal coach that can help you with your speaking skills. 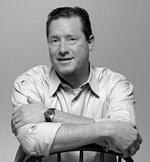 Author and consultant David Meerman Scott did that early on when he wanted to promote his consulting and speaking business. 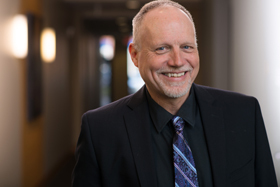 Scott is the author of “The New Rules of Marketing and PR,” which was initially released as a shortened free PDF downloadable e-book. He’s often suggested that getting on a discussion panel at a conference or tradeshow is a great way to open doors. It’s obviously worked for him: he is often hired to deliver keynotes at larger tradeshows and it’s helped him become known as an author and thought-leader in his field. Scott is a popular blogger at Web Ink Now and offers at least four free e-books – just check the right column of his blog. To become a speaker at a tradeshow, browse the websites of shows you’re interested in, where you’ll find the speaker requirements and submission methods. The narrower the topic of your proposed speech, and the more eye-popping the title, the better the chances that you’ll book a speaking gig. Are You Serious About Tradeshow Marketing? For some reason, in the past three hours I’ve seen the phrase “…if you’re serious about…” in at least four email newsletters I subscribe to. In Jeffrey Gitomer’s “Sales Caffeine” his lead article discusses what being serious about something is all about from his perspective. Two Internet marketers used the same phrase in regards to their question about readers’ seriousness about building an Internet business. Another email asked if I was ‘serious’ about creating a good life for myself. It’s a fair question, and one you probably don’t think about enough. Gitomer’s approach is from the sales aspect, and he covers such things as ability to deliver, desire to serve, friendliness, truth at ALL cost and more. Much of that applies to tradeshow marketing. So, how serious are you? Do you plan your pre-show marketing? Do you pick your staff with an eye to having the most open and enthusiastic personalities at the show? Do you train your staff? Are you regularly re-examining your tradeshow booth’s marketing message to make sure it in sync with your products and your audience desire? Do you debrief your staff each evening before turning them loose? Do you make adjustments at the show based on your observations of visitors or the staff debriefing? Do you have definable, measurable goals for each tradeshow? Do you re-assess those goals based on the type of show and expected audience? Can you crunch the numbers to come up with the ROI over the last year’s worth of shows? These questions can go on and on and break down each aspect of your tradeshow marketing, from the moment you commit to a show to the time a year later when you go back through the sales figures you’ve been tracking to see what business came out of the show. Serious is not having a sober or grave demeanor. 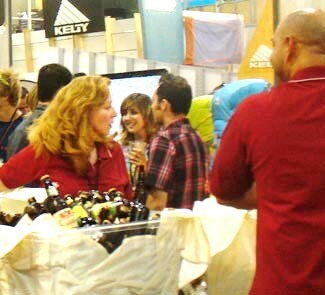 You can have fun at tradeshow marketing, or sales, or whatever it is that you have chosen for your livelihood. In fact, I’d say that making as much of it “fun” as possible is important to your overall success and your mental well-being. So…are you serious about tradeshow marketing? 1. Conferences and Break-out Sessions. Business execs find this useful. It gives insights into presentations and ideas, and helps bring you closer to people who are not there…as well as connect with ones who are. 2. Booth Promotions. Got a prize to giveaway? Regularly tweeting about stuff going on at your booth is a good way to bring visitors by, and helps remind non-attendees what kinds of things your company is doing. 3. Raves. Love a booth? Promotion? Graphic? Break-out session? Meet a cool dude/chick? Tweet out a rave. Works even better if they’re on Twitter; if so, be sure to use their handle. 4. Ask/Answer Questions. Trying to find a good restaurant or watering hole? Need an answer to an industry question? Ask and ye shall receive. 5. Engage in Conversations. Similar to #4, but perhaps on a more casual or personal level. A conversation may only be a few tweets long, but even a short one can be engaging. 6. Announcements. Got a media event? Unveiling a new product? Is there a demo or celebrity in your booth? Tweet it out and let your followers – and show followers – know. 7. Tweet-Ups. Seems every tradeshow or conference has a tweet-up of some sort. If you’re going, re-tweet the location/time. If not, do it anyway. 8. What You Are Doing? This kind of tweet can be easily overdone, but if cleverly packaged it doesn’t hurt to know what other people are doing and where. Could bring back a good response. Of course, if you’re tweeting about the show, be sure to insert the show’s hashtag identifier so that anyone searching that tag can see your tweet. If you are at a booth, don’t forget to include the booth number.